Hey mama, I know all too well that life is tough. You want to be a “good” mom, do your best for your kids, and be a loving wife. But it’s not always that easy. Several years ago, I was a young mother with three sons (one a newborn) in a new city with little support while my hubby was on deployment. As if that was not enough, I had recently transitioned out of my career to embrace being a stay-at-home mom. (Talk about significant life changes). Between potty training, breastfeeding, and homework, I was exhausted. I was too tired to cook healthy meals. Too tired to fold the laundry. Too tired to work out. Too tired to even talk with anyone to say I needed help. Most nights I crashed in my bed, baby latched to by breast, feeling like a failure. My thoughts ran rampant with my inadequacies. I was overextended and weary. I was a mom who felt burnt out. Momma, if you are feeling burnt out right now, you are not alone! Women from different walks of motherhood often experience mom burn out at some point in their journey. Believe me; exhaustion does not discriminate. You can be a working mom, a stay-at-home with a husband who travels for work, a mom with two kids under four, or a mom of teenagers. We all can experience mommy burn out. But be encouraged. Living burnt out does not have to be the way you walk out your motherhood journey. You can ignite your flame to walk boldly in your assignment as a mother. Today I encourage you to take three steps to help you embrace the joy in motherhood. Do you have areas in your life that stress you out about taking care of your home, your job, or responsibilities that are causing you to feel disconnected who you are as a mother? It may be time to delegate and consider allowing others to step in. As a military wife, there were seasons where we had no family and no community. My children were with me all the time. The lack of support and breaks only added to me experiencing burnout. Communicating my needs and accepting help provided the breath of fresh air I needed to start enjoying motherhood again. As a mom, seek help. No one will ever do what you do the way you do for your children. So, choose your battles wisely. Allow your friend to watch the kids so you can finish your homework. Yes, I know grandma may let the grandbabies eat too much sugar or watch too much TV, but let the kids go if it means you get to sleep. Consider allowing others to bring dinner for your family to allow you a night off from cooking. Sometimes the meal may not be the homecooked dinner you would prefer, but you get a chance to focus on other areas and rest. This is just as simple as the statement you just read. We often put unnecessary pressure on ourselves as mothers because of the expectations we have in our minds. Think about what MUST be done in the day. We spend more time being busy that we are not taking time to do the things with the people that matter most. At the end of the day, your children want YOU-a mother who is physically, mentally and emotionally refreshed to enjoy being present. YOU matter. Your family sustains because of the vital contributions you make every day. Choose wisely! Every day ask God to give you the wisdom to know what needs your attention and how to leave the rest behind. Guess what momma? You are not enough, and that’s okay because we serve a God who is. He gives us the grace to walk out each day with patience, tenderness, wisdom in joy. Too often we are overwhelmed and exhausted in motherhood because we are trying to do everything in our strength. We worry about the kids. We worry about the bills. We worry about our health. We worry. All of this worry only steals away our energy and creates a negative perspective. So trust God to guide you each step of the way. Surrender all of your worries to Him. When we call out to him for direction, He will answer. Not sure how to help that strong-willed child? Go to the one who created your child. Not sure how to guide your child with a learning disability? Ask for wisdom on what to do and how to get help. Going to Christ to guide our hearts, words and actions is one the best decisions we can ever make as mothers. Great tips! The mom burnout is real. Giving yourself some grace, and relying on God’s strength, are essentials! And community – having a few other moms that you can turn to can go a long way! Community has been a life changer for me as a mom. How were you able to build community? This is really great advice. Burnout is no fun. So important to take care of yourself! Taking care of ourselves is so important Cindy. What do you do for self-care? Wonderful tips! I am experiencing a little mom burnout myself right now. I can relate. What are you doing to help replenish yourself? Thanks for building community right here online, Mamie! Mom burnout is real!! Thank you so much for these tips. We all need some grace every now and then. This is an excellent post with great ideas! I especially love when you mention that we are not enough and that it’s okay because we serve a God who is! Just beautiful and so true! I needed this today! Yes Sierra! I don’t know why we feel like we have to do all things for all people. So glad you are allowing others to step in and resting in God’s Grace. 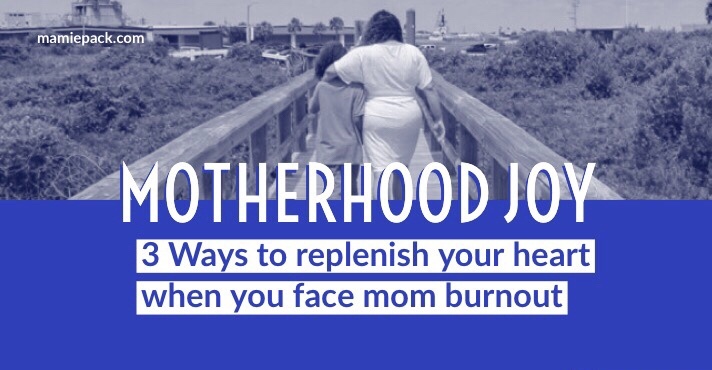 Mom burnout is so real. I am so lucky I was able to talk out my burn out with a friend and she helped me get through it. It seems to come and go with waves! Us moms are too hard on ourselves sometimes, and we need to read posts like these to keep spirits up. Thanks for writing! Sadly this happens all too often. In many ways because of our expectations and lack of support system. Having people we can be transparent with makes such a difference.